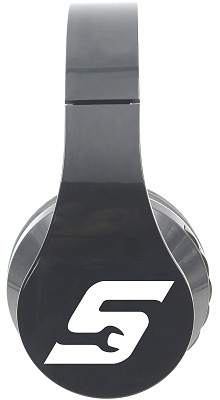 Black Bluetooth stereo headphones branded on both earpieces with any logo or text. 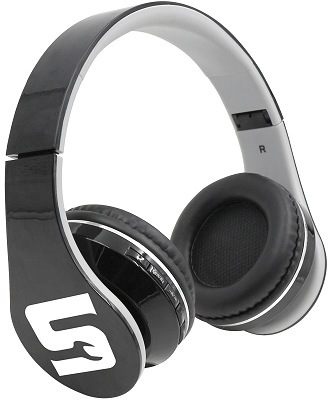 Fold down, highly portable ideal for street wear so excellent for brand advertising. 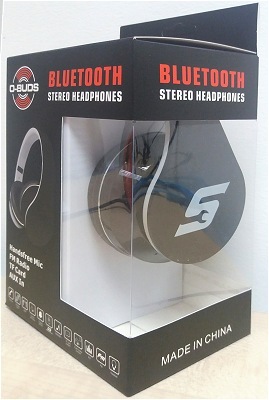 Packaged in the logo printed windowed box for additional brand exposure.